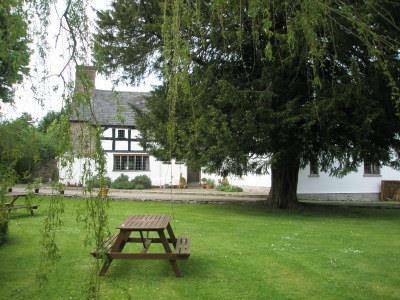 Walford Court B & B is situated in a small hamlet approximately 1 mile away from the old village of Leintwardine, known as Bravonium in Roman Times. 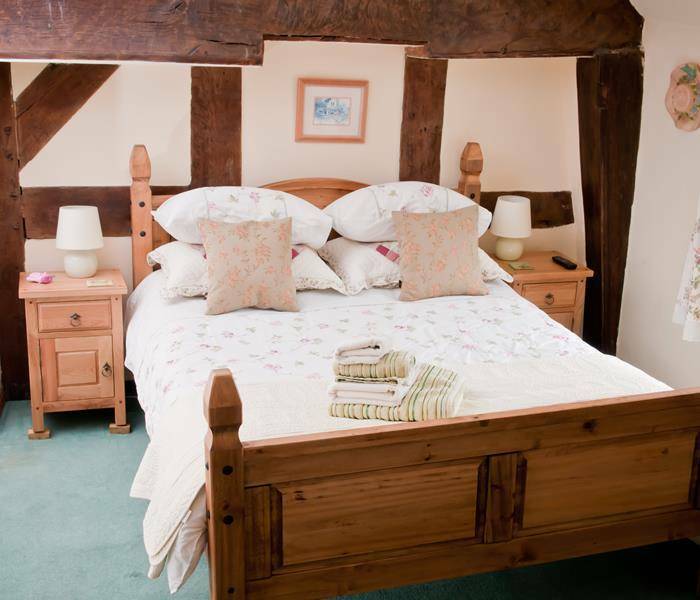 The River Teme runs through the village, which is quintessentially English, boasting many local amenities, including a thriving school, beautiful church, an award winning butcher, post office and even a cash point! There are also many attractions. Ludlow is a scenic 10 minute drive away, with its award for "slow living", and a packed schedule of events through the year including the ever popular food festival, Fringe and Jazz festival, Medieval Christmas Fayre, many Antique and Craft markets, plus the Ludlow festival in June and July which offers you an experience unique in open air theatre. Step back in time and experience the world of Shakespeare in the truly glorious setting of Ludlow castle. There is cycle hire nearby and many walks to be enjoyed amongst the beautiful and unspoilt scenery of Mortimer Country, or drive 15 minutes into Wales, and take a glorious walk along Offas Dyke. If you're not feeling energetic we're in the middle of black and white village country, tourist signs will guide you on a drive through the most picturesque part of "Olde England". Walford Court was thought to have been built as a courthouse, and within these walls resides the charm and character of 500 years of life. 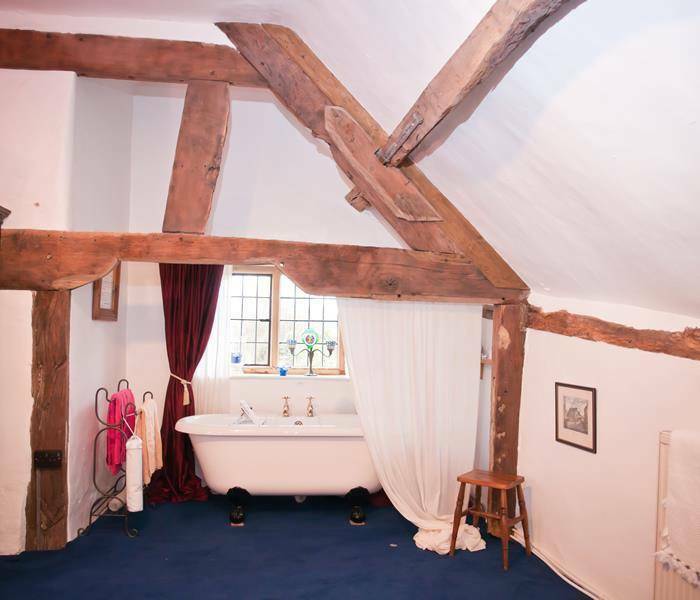 Deep oak beams contain carvings and ritual marks of carpenters long gone - there are no new extensions for guests to stay in - all bedrooms and sitting rooms share in the complete character of the house. We do have a few uneven floors, and low beams, but the ceiling height is generous and the rooms are large, as befitted a courthouse. 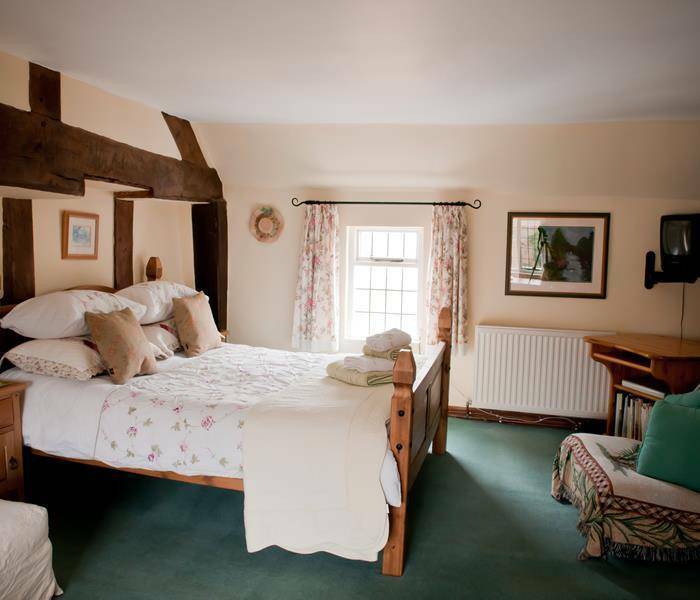 We have 3 rooms available for Bed and Breakfast accommodation, comprising 2 very roomy suites with sitting rooms, and a very large double room with a sitting area. 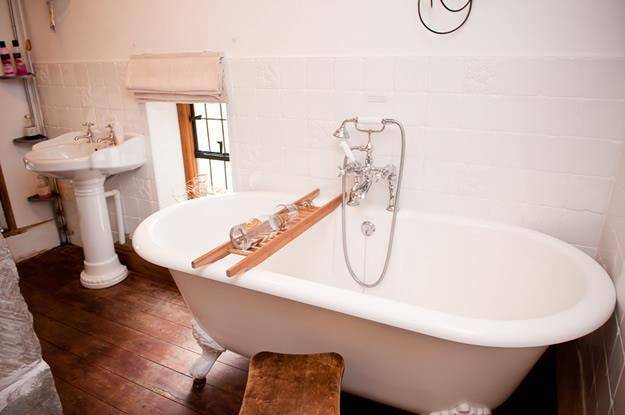 All are en-suite. Breakfasts are served in our beautiful dining room, with its inglenook fireplace and bread oven. 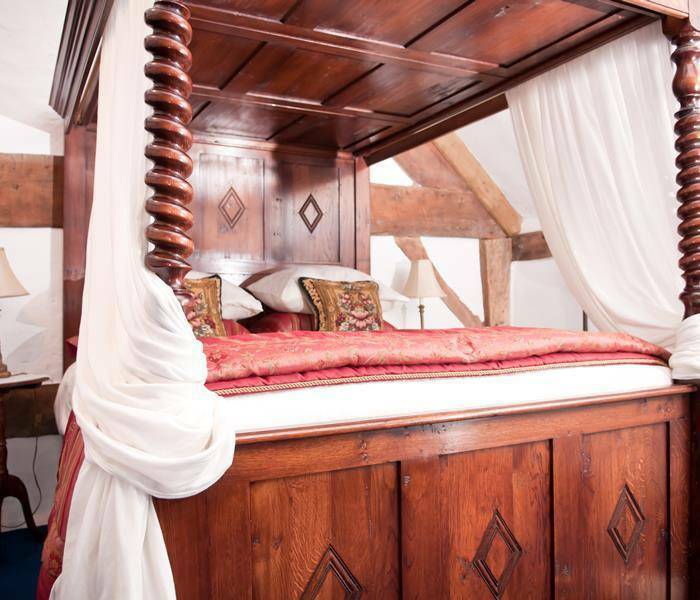 Through the large oak leaded windows you can view the gardens and ancient yew trees. On fine days in the Summer we are happy to serve meals in the garden. In the winter we'll keep you cosy with our wood-burning stove. 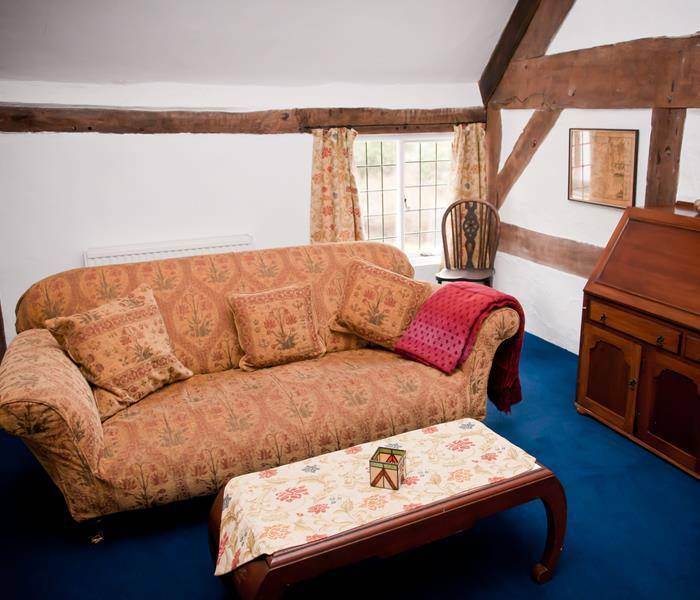 All bedrooms within our Bed and Breakfast accomodation have televisions with DVD players, and well-stocked tea trays, with a fresh supply of muffins provided every day. All rooms also have a fridge to keep your wine and snacks cold! 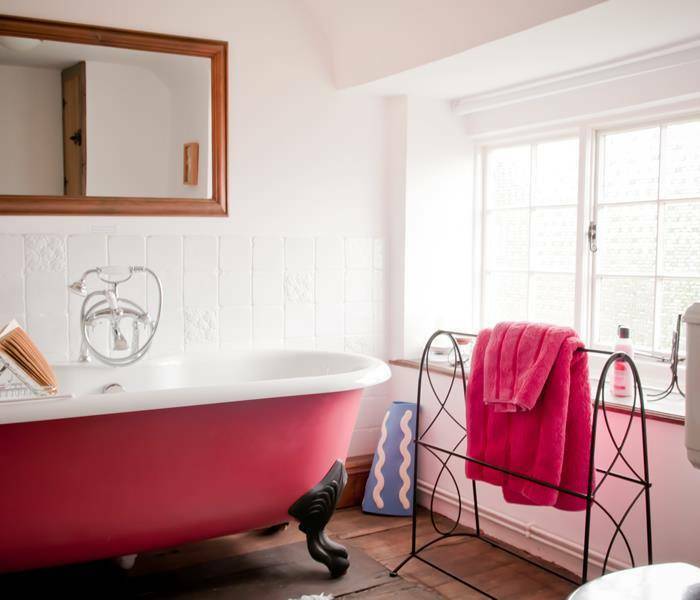 For that extra touch of luxury we also provide you with robes, scented candles, bubble baths, shampoo & conditioner....oh and cosy hot water bottles! Wireless free broadband access is also available in the rooms if you can't do without your laptop! Cash, Cheque, Bank Transfers and Credit/Debit Cards are accepted.